Anon. sale, Sotheby's London, 11 December 1974, lot 25. Drawings by Domenico of this type have been connected with the decoration of the artist's own villa at Zianigo near Padua. James Byam Shaw dated this project to after the artist's return from Spain in 1770. 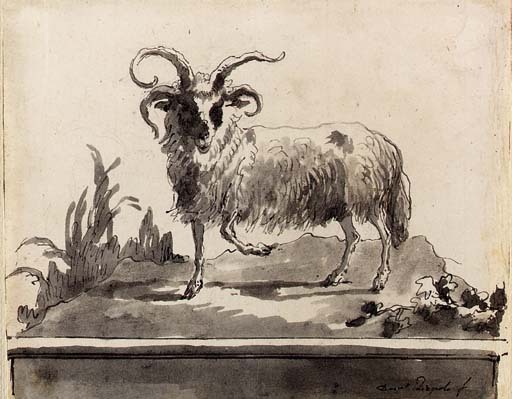 Tiepolo drew inspiration from the German animal painter Ridinger.